I had the luxury this past year to get out and explore Eastern Oregon and Nevada for observing locations. My extended family lives in Las Vegas, so I made several trips by vehicle and hauled the gear and tents with me to see what I could find, and I purposely diverted further eastward in Oregon to have a look at a few spots. I was rewarded with several great locations for adventurers with time and hunger to get to really dark skies. Other unexpected treats were in store as well. In prep for each visit, I used DarkSiteFinder.com to explore a target area I thought looked promising. For the Eastern Oregon locations, I overlaid a map of the Verizon cell coverage in hopes of finding locations I could work from during the day. I also printed maps from Google maps and did searches online regarding each area, and made phone calls to various State agency and National Forest service offices to get information prior to travel. I highly recommend this by the way, and it was never more than a few minutes at most to get to a knowledgeable person. I was pleased to find nearly all of these agency and state park personnel are very eager to help visitors. I consider all of these locations outstanding, each has pros and cons and are listed here in no particular. It is difficult to write a description about the experiences here without adding emotion. This is truly one of the best National or State Parks I’ve ever visited (and I’ve been to many!). I’ve never experienced darker, more stable skies than at this park during new moon. There is a lot to do here besides observing, the hiking through lakes and streams, and cave tours are exceptional. 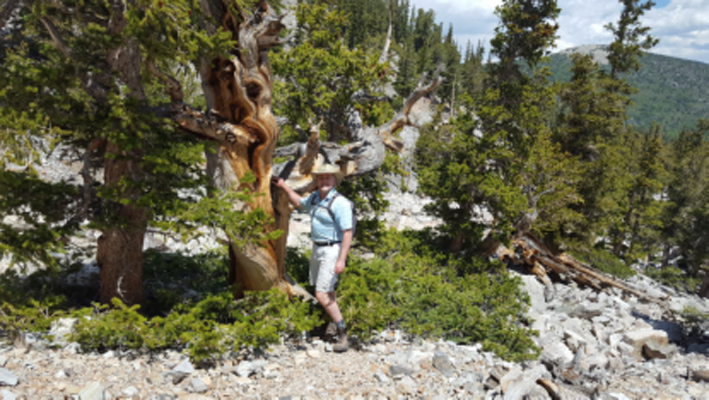 You can get close and personal with a grove of Bristlecone Pine trees at 11,000 feet elevation (see photo) the oldest living organisms on the Earth (+-4,000 yrs old). There is even a local forest ranger with a solid astronomy background that gives a viewing night once each week during the summer, he calls himself ‘the Dark Ranger.’ His night tour was on Thursday nights this past summer, check with the park in future summers for his schedule. The park is very remote, thus the limited visitors each year. However, July-August is the busy season, and they do not take reservations (except in large groups). Each of the 4 sites only has about 20-30 spots, and there are no reservations (except large groups at the lowest elevation site only). 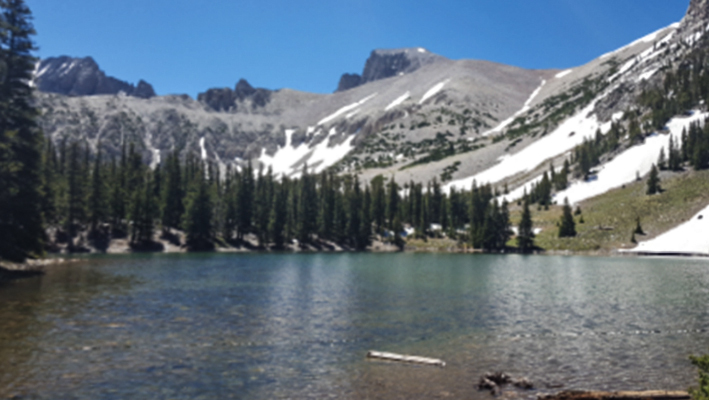 The highest camp is Wheeler Peak, that's where we moved after the first day. We camped in the lower Creek area the first night, it was beautiful also but it is desert floor and was very hot and only 7,000 feet elevation. A 20 minute drive up to the top camp area at Wheeler Creek pops you up to 10,000 feet and the temperature drops 15 degrees during the day. Even late June the night temperatures were cold, only about 40-45 degrees. This is the location of the last Rock-Glacier remaining in the world from the last ice age so be prepared for hot days and very cold nights. Since you can't reserve any of the single sites at the 4 locations, you'll need patience. I suggest you plan a week if you can, and your best chance to get a spot up top during the summer will be on a weekday. Go up in the morning. Most folks leaving are out by 9am and there is a steady stream of campers scouting through the day looking for spots so they go fast. To get there, Google Maps actually directed me over to Boise as the shortest route, then SE toward Twin Falls, then straight south to Ely then directly East around the mountain range to Baker, NV, to the roughly 14 hour drive from Portland to the park entrance. I think an equally fine way to go would be over to Burns OR (SE corner of the state), then down into Nevada and just keep going directly East. Electricity to charge your battery is free and available at the main visitor office at the caves. There are no shower facilities in the park, however, fresh water is pumped to all of the camp sites and is readily available along with traditional park toilets. There are a couple of quant restaurants and a bar in the small town, RV facilities and a gas station. This is a very remote, rarely visited State park well worth the 11.5 hour drive from Portland. Great hikes and cool things to see. 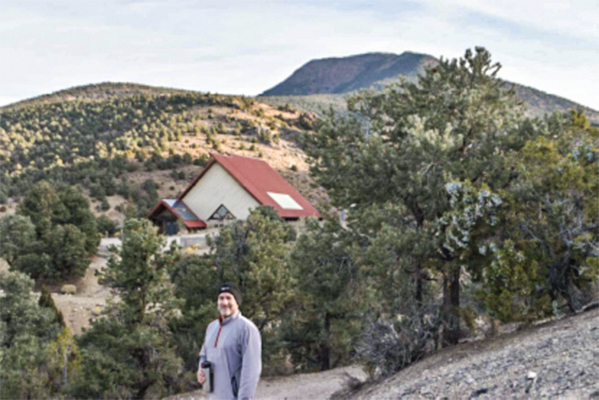 This was an old mining camp, and in the 1800s prospectors discovered a giant per-historic petrified fish skeleton way up high in the Nevada mountain range at 7,000 feet, there is a museum there built around the skeleton (30 feet long) you can view through windows when locked, or they have tours on weekends. We camped 2 nights at Berlin Icthyasaur last October. Amazing skies, but I experienced pretty high wind later in the evening both nights as you are basically camping near the top of the mountain range. I have a big observation tent that blocks wind, and recommend you really prepare for this visit. Very hot days, potentially very cold nights, potential for wind – and this is remote. It was mid-October though, so summer months could be much more sublime. There were no state rangers anywhere, only ourselves and one other camper. No cell coverage – so prepare well with extra water, emergency things and a spare tire. I don’t think there is any gas within 60 miles of this location so be prepared. If something fails here, they’ll only find what the buzzards left in the Spring :) But the remoteness is the allure and the price we pay for darkness, right? There is well water and traditional park restrooms, and I did see a full RV dumping station. Another amazing location is the Black Rock desert in NW Nevada. This is even closer, only about 10.5 hours from Portland, although this past year they had so much rain the entire desert floor was under 6 inches of water even into May. This is the location where Burning Man is hosted each year. I have driven through and investigated the area although I did not camp there. It definitely has awesome potential. The park service folks said there is basically no restrictions in the area, you can drive out into the basin and camp anywhere you want, the desert basin is enormous. There is a very friendly Shell Gas Station owner in Gerlach on the South end of Black Rock Desert (btw you can enter from the North, you don't have to take the route posted above and it is shorter). This fellow can tell you current conditions, I definitely advise you call him before going out there phone: (775) 557-2272. Sounds like the desert can be a marsh depending on rainfall. For any of the above Nevada sites, Burns OR (SE corner of our state) is a pretty good midway point if you want to break up the drive. There are some cheap $59 hotels there like Best Western etc. and a decent cafe restaurant or two. Now, this may be yet the best site close to Portland outside of Maupin, Hancock or OSP, and only a 4.5 hour drive from Portland. 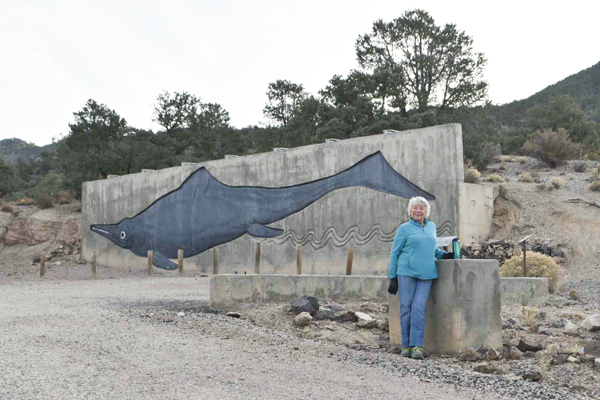 It requires special use permit from the National Park Service at John Day Fossil. It is the "Mascall Formation Overlook." This is just 2 minutes from Dayville and the best little café in the world. This little overlook has a paved parking lot and permanent bathrooms - no running water though. I have talked on the phone with the John Day Director, and she sent over to me the permits. What is amazing about this site is the 5 bar, 4G coverage from Verizon. The only cell tower in all of John Day is a straight view from this location up to the top of the mountain range. I think this location would be ideal for an RCA event and could support up to 20 folks I believe. It sounded like this great spot gets limited use, so the Director might be open to us setting up visits there. She did mention to me about the problems around Hancock in the past with RCA about large vehicles parking in restricted areas, so sounds like she is a bit hesitant but perhaps we could work with them and be good citizens and establish something on a regular basis. This is a pretty remarkable mountain range, about 6.5 hour drive from Portland. I drove by and inspected this area, there is a rough road that goes all the way to the top of the range to the peak at 9,734 feet. I understand non 4x4 vehicles can make it up there most times of the year. I heard from locals the top is very windy and can be very cold, but it should yield ridiculously great skies for the hardened adventurer. This year I’m a bit busier with work and commits, but do still intend to get out and explore more sites.